A decent beer-n-pretzels wargame that’s more expansion pack than sequel. 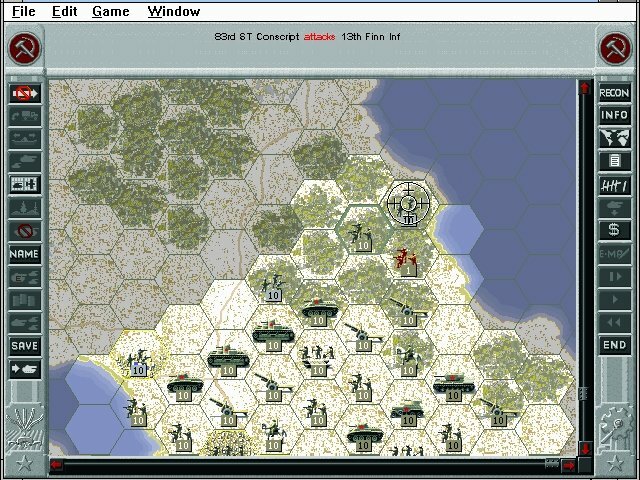 Allied General is SSI’s follow-up to their highly successful Panzer General, giving you a chance to experience the operational level of WW2 from the Allied perspective. 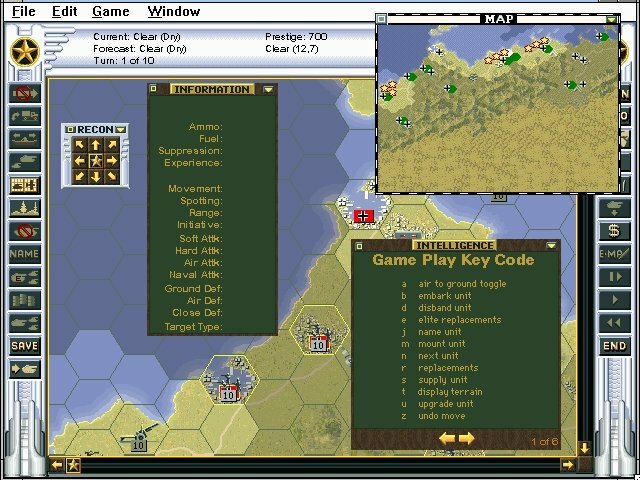 The core game system has remained basically the same from Panzer General, but some improvements are present nonetheless. 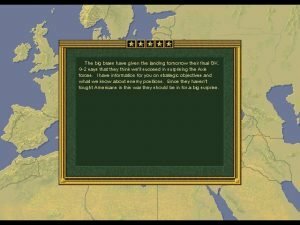 For one thing, Allied General plays out of Windows directly and supports considerably higher resolutions this time around. 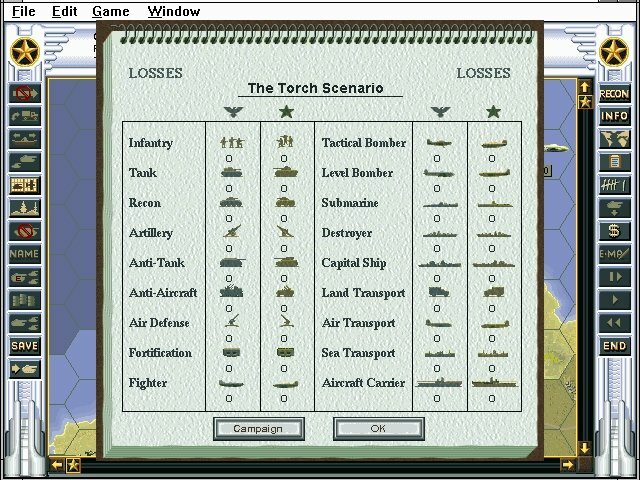 The bulk of new content in Allied General, however, is located within the campaigns. 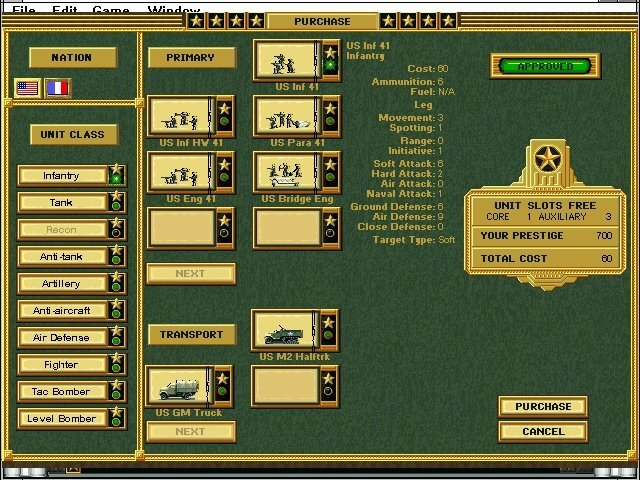 Those who’ve enjoyed the role-playing aspect of Panzer General should find the dossier and history functions useful. 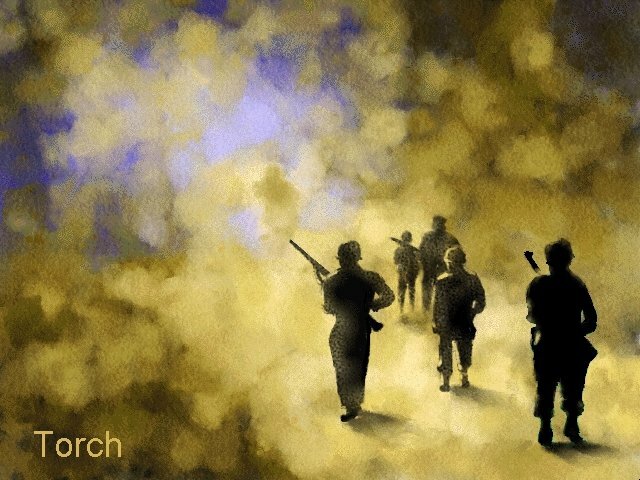 With the dossier you can create a general and then assign him to scenarios or campaigns (American, British, or Russian, or all three!). A complete record of your wins and losses is kept for all to see. The history feature gives you the ability to record all the events of a battle for future reference. You can look at this history during gameplay or look at the text files afterwards. 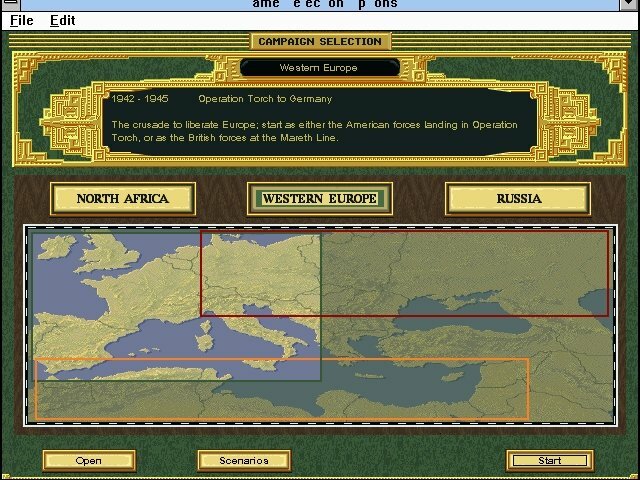 Instead of the single campaign of Panzer General you get to choose from three primary Allied campaigns in Allied General: the Brits, either starting in North Africa or starting right in Western Europe; the Americans with some action in Africa but focused on Europe; or the Soviets on the Eastern Front. 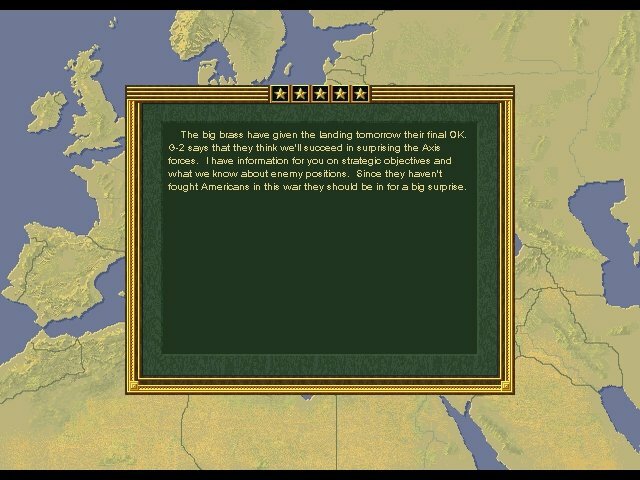 Since this is, at its heart, an adaptation of Panzer General, you might want to stay away from it if you weren’t that fond of the first game. 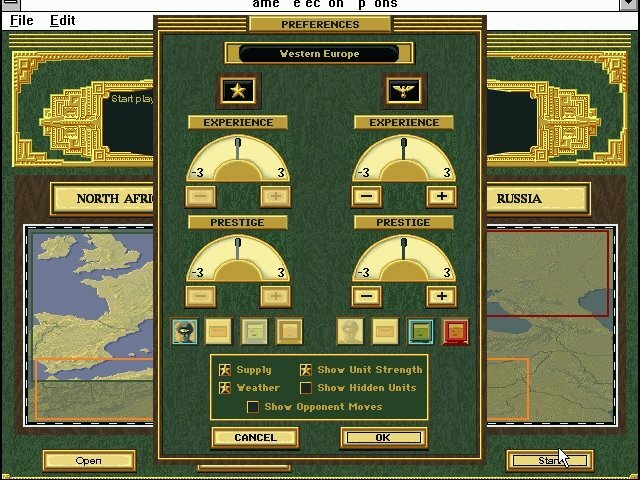 Allied General, like Panzer General, is sure to seem unappealing to two types of people – pure wargamers who hate the system changes from the implemented in Panzer General and fans of action-strategy game that wouldn’t touch a turned-based hex wargame with a ten-foot stick. 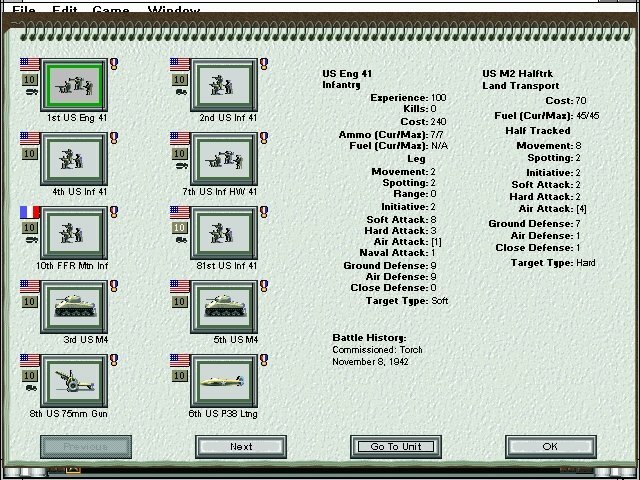 But for fans of the previous game, Allied General is a meaty expansion pack / sequel with lots of interesting World War II combat.